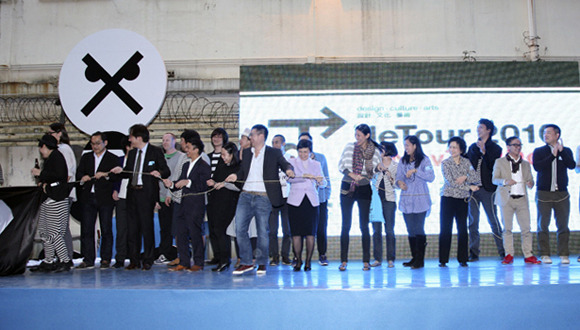 Hong Kong Ambassadors of Design is seeking a curator to lead DETOUR 2012. We invite the local and international design community to participate and submit a proposal for curatorship and artistic direction. The proposal should include thematic concept, suggestions for brand identity, and promotional strategies. Proposal should illustrate your vision with prospective exhibitions, workshops, lectures, and supporting documentation. Please submit your proposal in A3 format, maximum of 4 pages written + 10 pages visuals. Consultancy fees: The curator will receive a competitive consultation fee as well as travel expense to Hong Kong for foreign applicantsHong Kong Ambassadors of Design is a leading non-profit organization with a mission to promote design and creative culture both in Hong Kong and abroad. Since its inception in 2006, HKAoD has sought to actively empower the public through participatory projects that stimulate cultural interaction and creative dialogue in unconventional and enjoyable ways. Through experimental and innovative initiatives, HKAoD encourages exchange between the local and international design communities, supports excellence in design, and promotes the value of design in everyday life. DETOUR aims to capture the public imagination and to celebrate the creative aspects of Hong Kong. Conceived in 2006 as an annual event running with The Business of Design Week, it consists of a variety of events incorporating the most original, bold and stimulating ideas from both Hong Kong and across the globe. With record attendance of over 50,000 visitors in 2011 (held at the Former Police Married Quarters on Hollywood Road), DETOUR has gained local as well as international recognition and become one of the biggest and most celebrated design events in Asia. For further information regarding DETOUR, visit www.detour.hk. Interested parties please contact T 852 2739 6889 or email info@ambassadors.org.hk.